← A Pin for Tim! 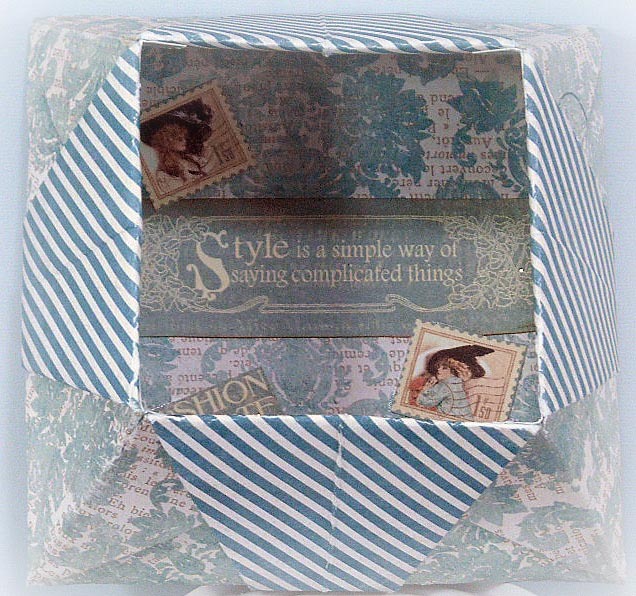 This is a box I created after watching a tutorial by The Gentleman Crafter. Jim always has such interesting projects! I’ve actually made several of these because they are so simple to make and really highlight a beautifully patterned paper. 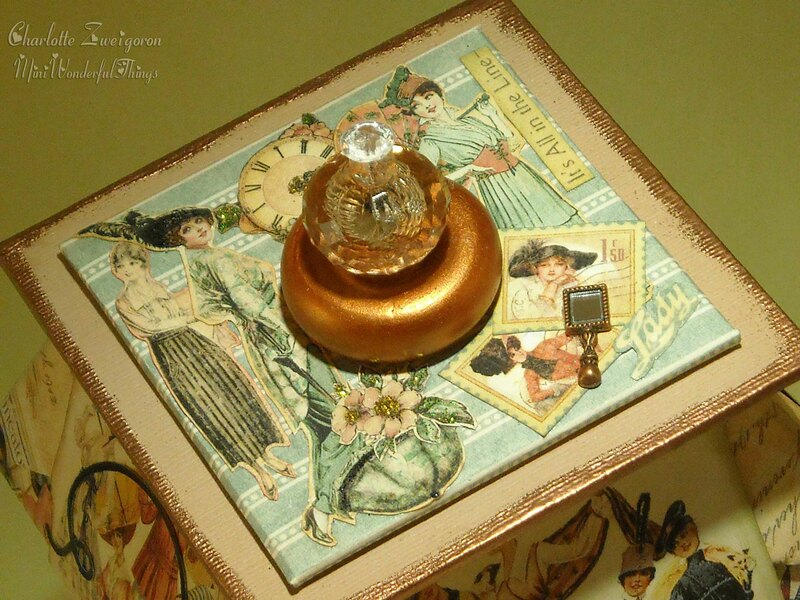 You may notice this is a variation of another box I made shown here. The handle on the top was made from an unfinished wood piece from the craft store that was labeled as a “wheel”. 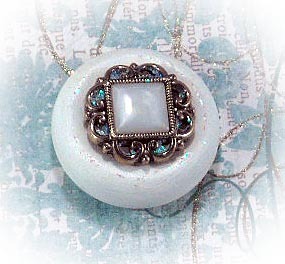 A vintage button was added to the center. Gold Ranger Stickles were used to outline part of the pattern on the paper and some embellishments were fussy cut from the Ladies Diary collection by Graphic 45. 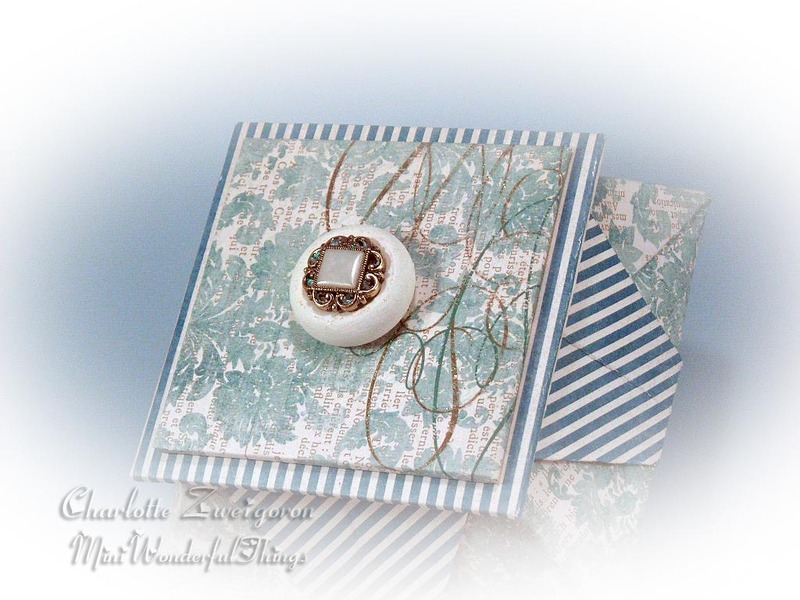 I hope you enjoy the various views of the box and the peek inside for the embellishments. Married, retired, never been so busy..! One of my most prized possessions is my very own craft room! And, actually, all the rest of our home is built around that craft room. Originally from Cincinnati, Ohio. I have been living in Georgia for over thirty-five years after a four year stint in Chicago. Crafting, reading and playing Mah Jongg with our circle of friends are my favorite activities right after spending time with my four grandchildren and four great-grandsons. Two of my three grown daughters and one of my two grandgirls live right across the yard from my husband and I. The youngest daughter, her husband, and our grandpups live in our same town. I have been teaching a paper crafting class for over three years and the ladies in the group have become a second family. We are well and truly blessed with people and critters to love..! 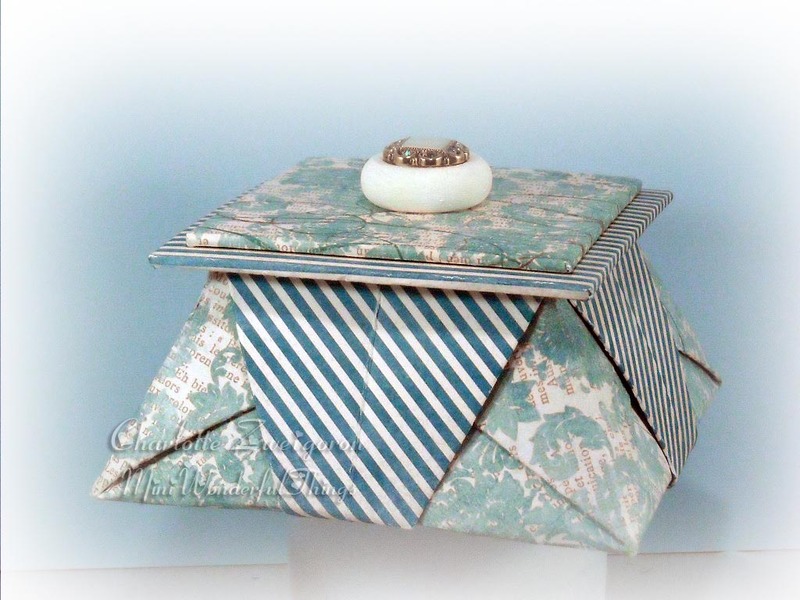 This entry was posted in art, papercraft and tagged aqua, flowers, Jeweled, ladies trinket box, stripes, white. Bookmark the permalink. You are so kind; thank you!! Here is the link http://www.youtube.com/watch?v=nb3oi2D0QV0. There are a number of tutorials for this box but Jim adds a twist that makes it a bit easier and I like the way he makes the lid best. Good luck!! My god, it’s so so cute!! Thank you! I went to your site but could not find a way to translate; nice music, though!